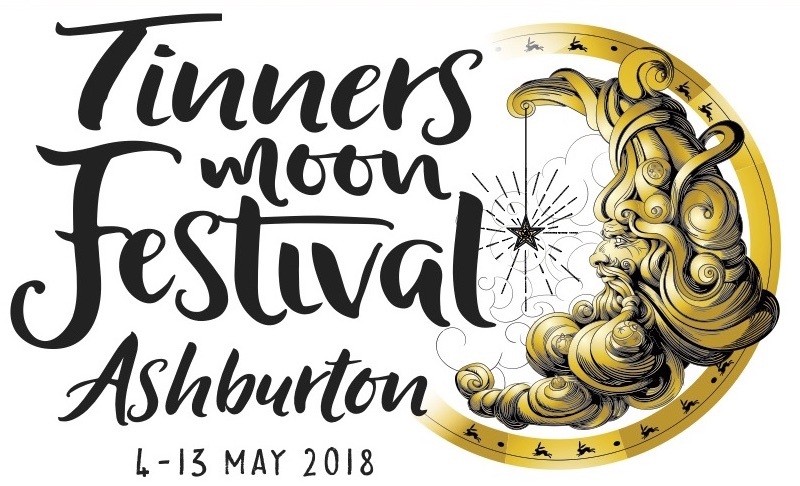 TINNERS MOON 2019 is HERE – below is what happened LAST YEAR. Tickets for all events (except The Lost Sound, see below) are now on sale at Gnash Comics, West St (map), and online here. There’s a box office phone number – 01364 652781 – though this only takes messages, and we may take a day or two to reply, or you can email reservation requests to boxoffice@ashburtonarts.org.uk. SOLD OUT (to be on the waiting list, email boxoffice@ashburtonarts.org.uk with a phone number where we can reach you during the day on Friday). This 35 strong, Dartmoor based folk choir, bring us ‘In This Heart’ a selection of stunning traditional and contemporary songs, of love, joy and bravery. Building a solid reputation for exciting singing, they have been booked for Sidmouth Folk Week and have supported Show of Hands on tour and at the Royal Albert Hall. Led by Sandra Smith. They’ll sound fabulous in the wonderful acoustic of our old chapel. Facebook Event here and buy tickets here. A veritable cornucopia of horticultural delights, planted, grafted, watered, fertilised, grown and raised right here around Ashburton and Buckfastleigh will be on sale all morning. If you’re wondering what might work best in your own garden in our particular South Dartmoor microclimate, come along and talk to the experts who’ve been doing it here for years. Alida Epremian, born in Egypt now in South Devon, is offering “El Baladi” (an Egyptian Belly Dancing workshop). She writes: “People of all ages are welcomed. No previous experience. Come wearing comfortable clothing. Bring a scarf or shawl to wrap around the hips, a veil (if you have one), and a tennis ball. “In this workshop we will connect with the Spirit of dance and let it move us to where it needs to go…the dancer’s body is the instrument with which to express feelings. It is what holds us between Heaven and Earth. Come, join us and experience the freedom and joy this brings to your soul… You will come out feeling invigorated and a feeling of well being! “The Dance came to me through Egypt’s nature and by watching others dance. Dancing for me is a joyful activity and as I found out through the years of teaching it has also shown its healing benefits to me and to others. Like one of my students once said, ‘these classes are like a spa for the whole being’.” Accompanied children under 12 free. All proceeds to Ashburton Arts. Starting in the afternoon, with an open stage for local performers of all ages to get up and entertain, try out ideas and bring this old building to life. Everyone welcome. Ashburton Festival Association presents a fabulous day of free events, with music, dance and food from around the world, including Flamenco, Taiko drumming, Irish Folk. There’ll be free craft workshops for all the family, and much more. These are three of the top contemporary jazz musicians currently working on the UK scene. They produce original music, in the jazz tradition, mixing composition with improvisation that is consistently beautiful to hear. The Guardian’s jazz critics say that Tori Freestone has an “imposingly original sound” and praise Alcyona Mick’s “world-class ingenuity”; Julian Joseph of BBC Radio 3’s Jazz lineup said: “A great musician, Brigitte Beraha uses her voice like an instrument…” Facebook event here. Can we stage a full professional touring musical in the Arts Centre? These guys think we can! Come along and find out. This show has had rave reviews where ever it’s been performed. “Absolutely hilarious…the freshest comedy in years!” Edinburgh Evening News. “The songs are fantastic” Stewart Lee. The music is heavily influenced by British Light Music and the Ealing comedies of the 1940s and ’50s, but with a dystopian twist. Facebook event here. Guy Fishman is Principal Cellist of Boston’s Handel and Haydn Society. He performs three of Bach’s magnificent suites for unaccompanied cello on a spectacular instrument made by David Tecchler in Rome in 1704. His playing has been praised as “plangent” by the Boston Globe, “electrifying” by the New York Times, and “beautiful….noble” by the Boston Herald, and “dazzling” by the Portland Press Herald. Bach’s cello suites are masterpieces of Western Art – the tranquil acoustic of the old chapel at the Arts Centre is the perfect place to hear them. Facebook event here. Thanks to Mark Burley of Burleve for all the Tinners Moon graphics.